Jean-Joseph Cassanéa de Mondonville continued and developed the French tradition of the grand motet set in place by Lully and Lalande. Four of these motets have now been recorded for Glossa by György Vashegyi with a quintet of masterly soloists, the Orfeo Orchestra and the Purcell Choir. Vashegyi, who is fast making his name in French repertoire, has chosen the music of this underrated composer to follow up his Glossa recording of Rameau’s Les Fêtes de Polymnie. 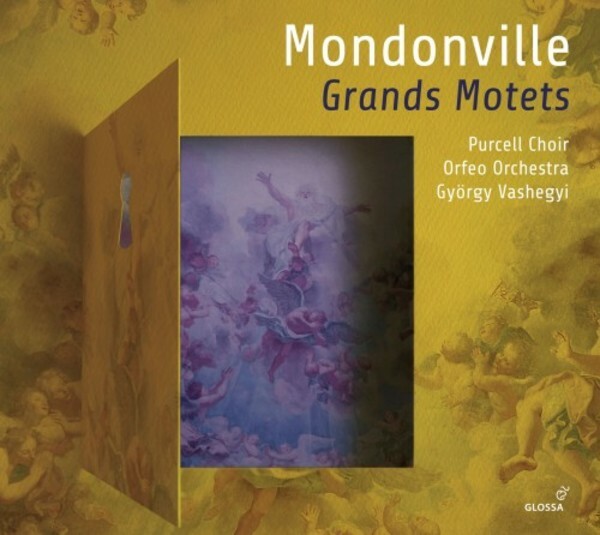 Mondonville was at the height of his career in Paris the second third of the 18th century, especially at the Concert Spirituel and with the Chambre and Chapelle du Roi. As well as operas, oratorios and instrumental music, he composed grands motets – spectacular religious works which were often performed in the public sphere. The four presented here on this two-disc set, De profundis, Magnus Dominus, Cantate Domino and Nisi Dominus are fine examples of Mondonville’s art, constantly displaying his taste for virtuosic scoring and tuneful, flowing melodies. The vocal soloists, Chantal Santon-Jeffery, Daniela Skorka, Mathias Vidal, Jeffrey Thompson and Alain Buet are all well-versed in such demands, as are choir and orchestra. Louis Castelain, who has prepared editions for two of the motets, provides an illuminating survey of Mondonville’s life for this enthralling new recording made in Budapest under the auspices of the CMBV (Centre de Musique Baroque de Versailles).